Instagram, my social media of choice. My beautiful, glorious obsession. How did I live without it? I love seeing all of your beautiful pictures and interacting with you. I'm on there quite more than I should probably admit! I'd love to connect with you on there. 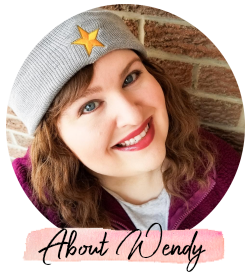 Just search for "wendybanner" and I'll pop up or click that link! 1. Spring finally arrived in the city, which meant grabbing a Tim Hortons iced capp and heading outdoors! 2. Motivational Mondays are always a good thing. 3. SST Cosmetics - read the post here! 4. Might just be the prettiest bottle of water I have seen! 5. 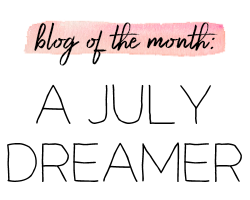 My April faves - read the post here! 6. Yesssss to the new Starbucks S'Mores Frap. 7. Catching up on my Next Issue magazines. Get a free 60 day trial here! 8. The cherry blossoms came and went far too quick for my liking. 9. Indy always approves of patio season. Now that looks like a happy dog! 10. The All-Time Faves Tag - read post here! 11. Pineapple popsicles are summer on a stick. 12. Some of the last moments of Indy and Jade together. Oh, my heart. 13. I live for snack time. These Snapea Crisps are a new addiction. Amazzzzing. 14. A little Saturday night pamper session. 15. Homemade biscuits and white pepper gravy. You can take this girl out of the south, but you can't take the south out of the girl!